Breathe deep, get calm, and find balance at the center of the Native American Chumash World, Mt. Pinos. "Iwihinmu" in the Chumash language, was considered by the Chumash Indians to be the center of the world, the point where everything was in balance. At 7,800 feet, the campground, bursting with views of mountains and valleys, is an ideal base for several biking and hiking trails. The dark and clear skies at night make this a picture-perfect stargazing setting. Mt. 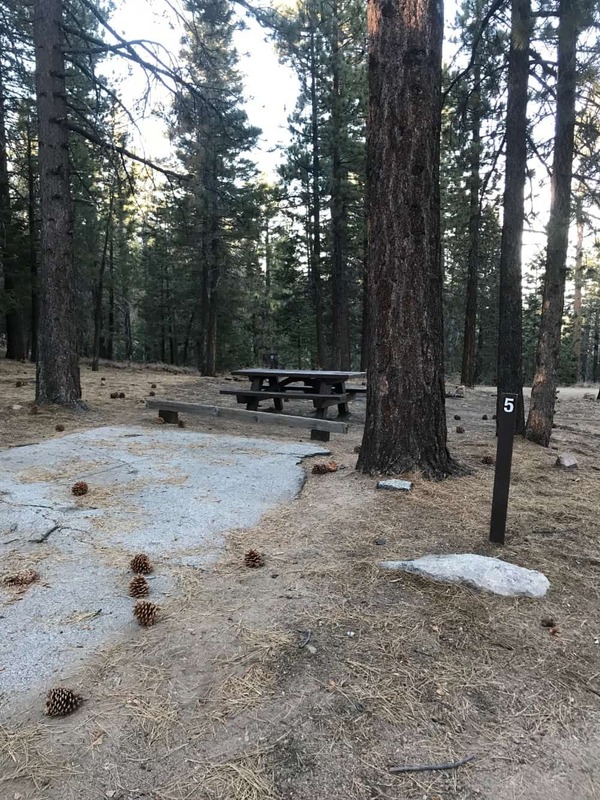 Pinos Campground is located in Ventura County, approximately fifteen miles from Frazier Park, CA on Cuddy Valley Road (9N24) and approximately eighteen miles west of Interstate 5. Access is via Interstate 5, Frazier Mountain Park Road, and Cuddy Valley Road (9N24). The campground sits at approximately 7,800 feet and is two miles west of the larger McGill Campground. The surrounding vegetation consists of old growth Jeffrey Pine and white fir forest with smaller brush and shrub species. Recreation use at Mt. 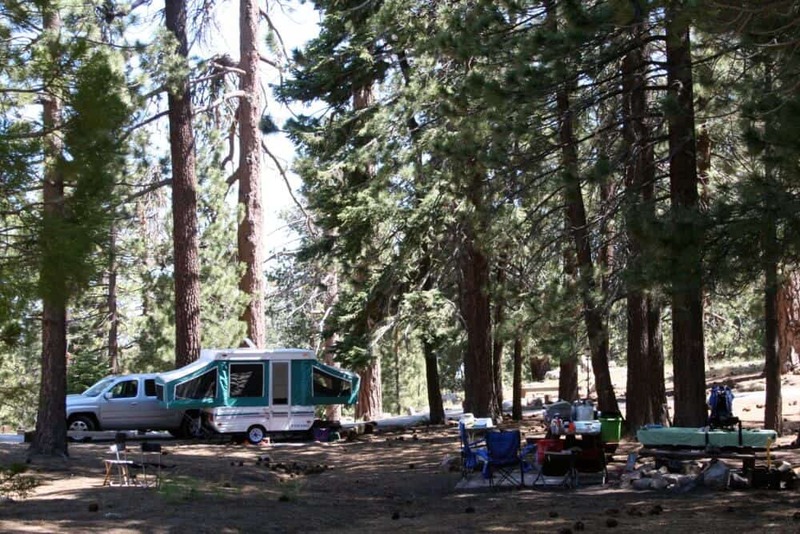 Pinos Campground is primarily weekend camping. Most users come from the Los Angeles Basin and southern San Joaquin Valley. The campground has 19 family units, each with a picnic table and fire ring. The interior campground roads and parking spurs are paved. There are two four-riser pit toilets at the site. Water is not available, but remnants of the old water system still remain. There is one large trash bin located in the center of the campground for garbage collection and disposal. The normal operating season is May thru October, but may vary from year to year depending on the weather and snow pack. This seasonal Campground is open daily, May – November. 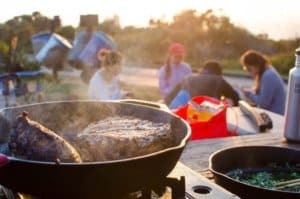 There are 19 single campsites that include picnic tables and fire rings. Fires are allowed only in designated fire rings. Pets are allowed. RV's over 22' and trailers are not recommended. There are two vault toilets. You should plan to be completely self-sustainable for the duration of your trip. There is no potable water or electricity onsite. There is also no dump station. 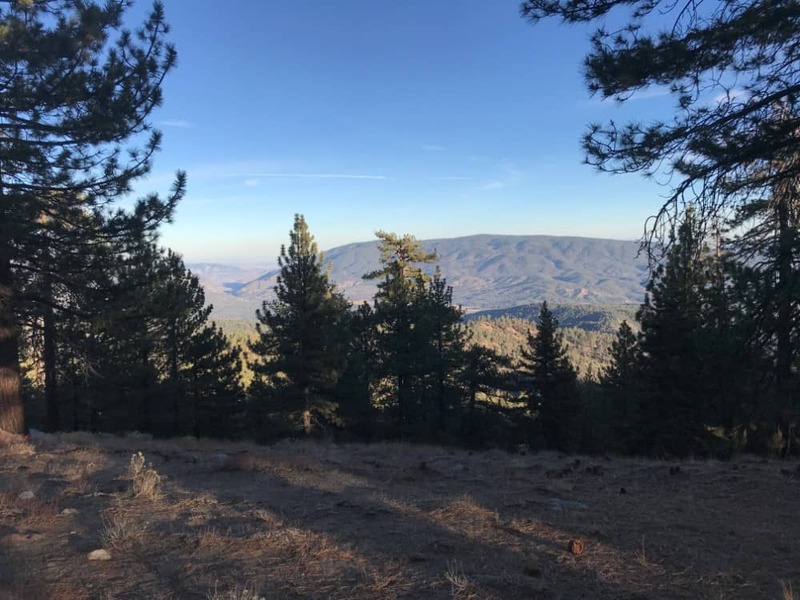 Ride your bicycle to the top of Mt Pinos or Hike the Mount Pinos Trail, McGill exploration trail, or enjoy the views of the valleys below from your campsite. 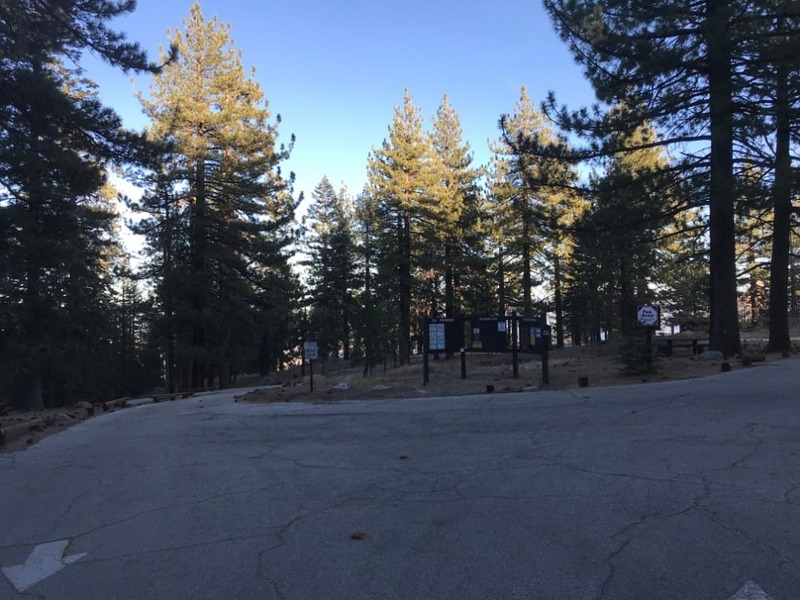 Mount Pinos is considered to be one of the best star gazing locations in California due to its dark skies, extremely low light pollution, and frequent clear skies. It is a favorite place for amateur astronomers. On a clear day, you can see the entire San Joaquin Valley and the surrounding mountain ranges. 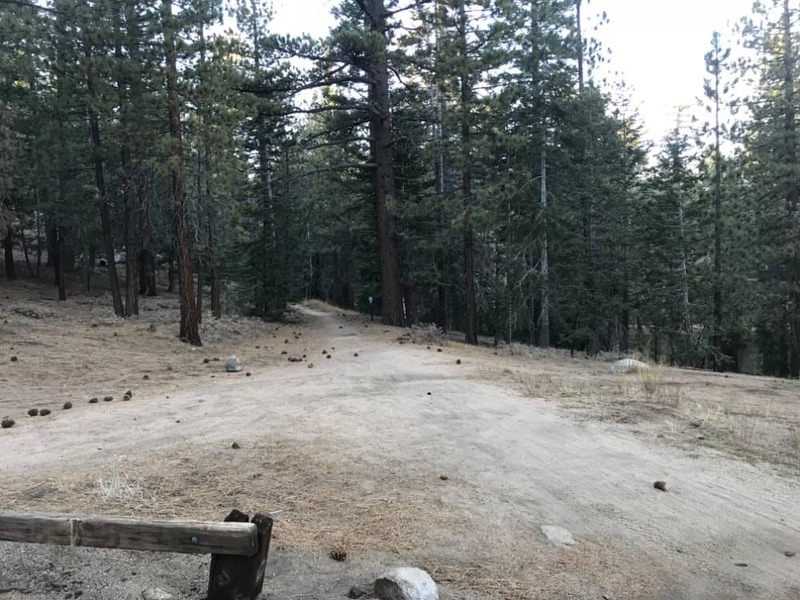 Mt Pinos Campground is at 7,800 elevation. Even in the summer the nights can be cold. Hiking Trails, Biking, Fishing, Swimming within 30 minutes. Restaurants, gas and shopping within 15 miles at Pine Mountain Club or 19 miles in Frazier Park. Lake of the Woods and Frazier Park are about 10 miles to the east. Lockwood Valley and Cuddy Valley are located at the base of Mt. Pinos.